The new Mobil Delvac light duty range is perfect for stop-start city driving. When the success of your business relies on the performance of your vehicle, choosing the right engine oil can be the difference between you and the competition – especially in the challenging conditions of stop-start, city driving. That’s why WP is proud to offer Mobil Delvac’s new range of synthetic and semi-synthetic Commercial Light Duty engine oils – Mobil Delvac™ City Logistics 5W-30 and Mobil Delvac™ Light Commercial Vehicle E 10W-40 – specifically designed to deliver long engine life and excellent protection. In addition to reducing the risk of breakdowns and expensive vehicle downtime, these new low ash oils also adhere to OEM specifications, which means that your business can protect warranties. 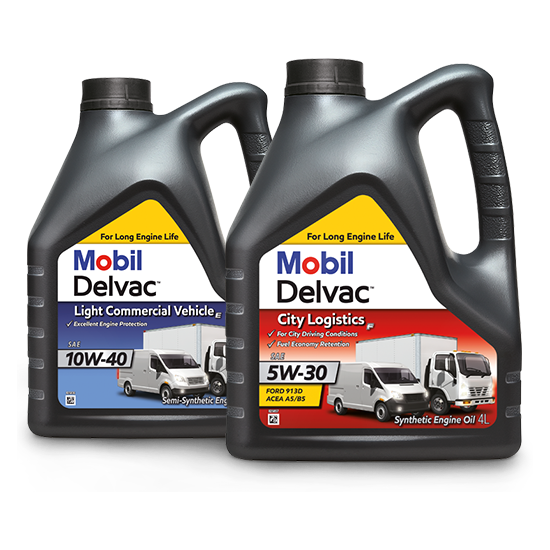 And with variations of Mobil Delvac™ City Logistics 5W-30 tailored to Ford, Mercedes Benz, Peugeot, Citroen, Iveco and Volkswagen specifications, you can guarantee that you’re always using the right oil for your engine. Discover more about how Mobil Delvac™ can benefit your business.